Don’t you just love to be around kind people? 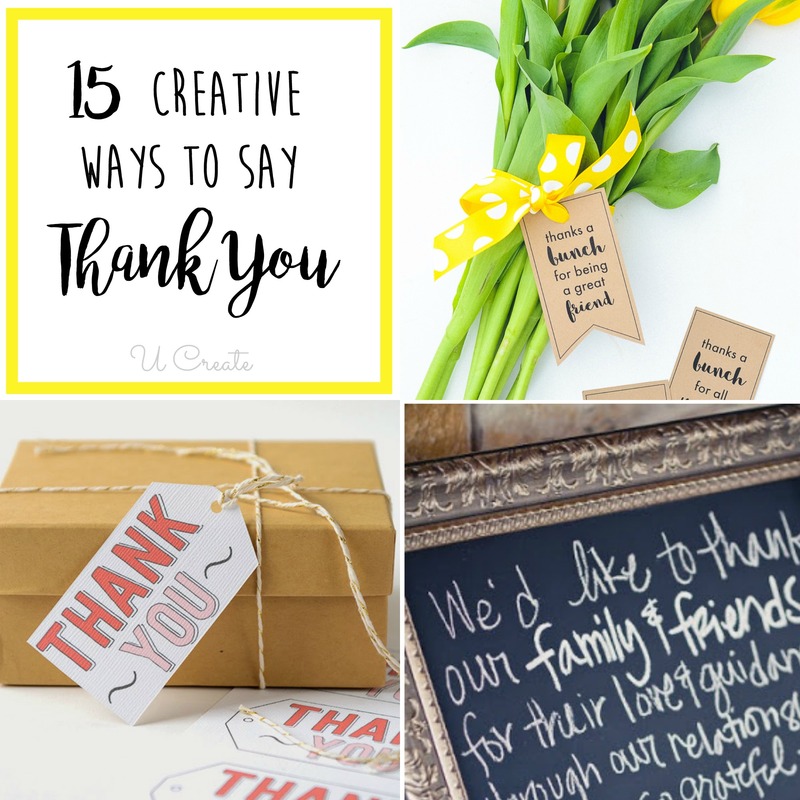 I also love to show them thanks when I get a chance by giving a thoughtful thank you gift. 1. Flowers make a thoughtful and simple gift. Grab these tags and some ribbon and you’re set! 2. 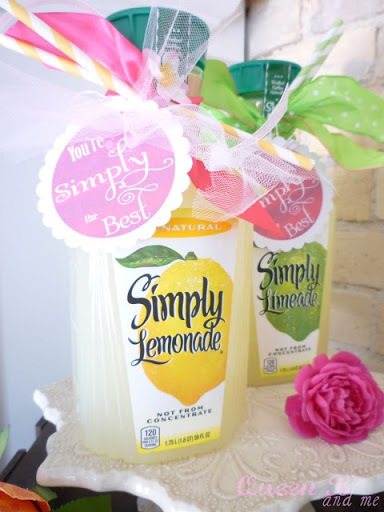 Grab those cute striped straws, a bottle of Simply Lemonade, and print out this “You’re Simply the Best” printable at I Heart Naptime. 4. 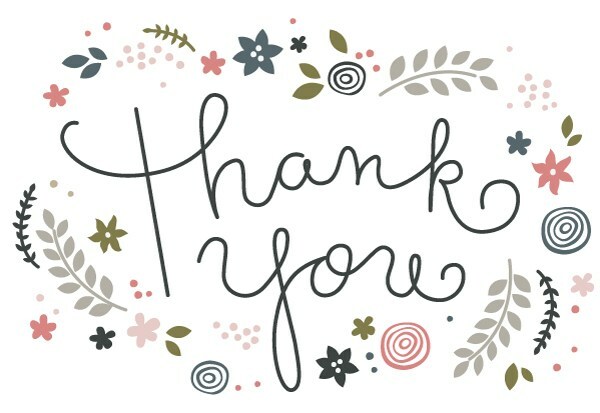 Text a “THANK YOU” video using the gift or telling how much you appreciate it what they did for you! 5. 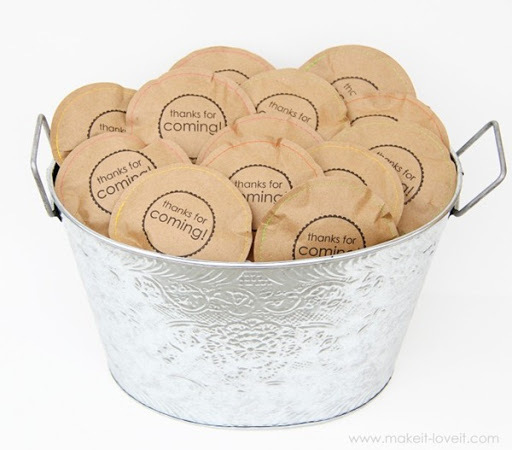 Thank guests for coming to a party or event with these brown paper sewn circles with a little surprise inside. by Make It and Love It. 6. 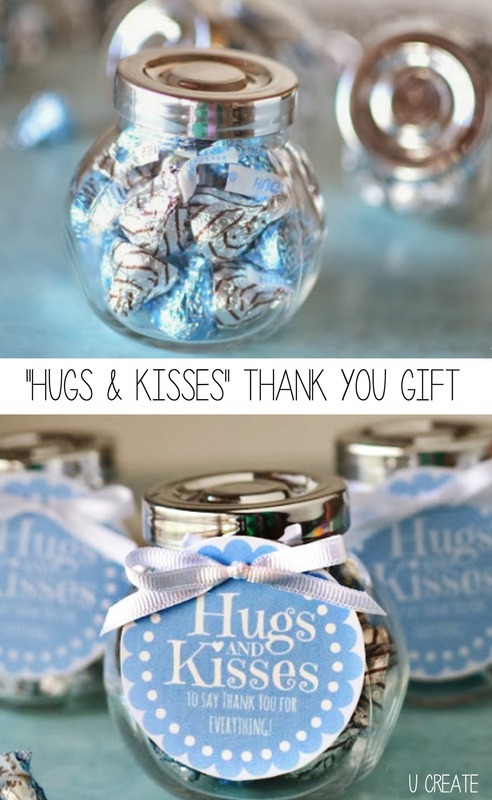 Do you have a thank you gift in mind and just need a beautiful tag? Melissa from The Polkadot Chair created this just for us! 7. 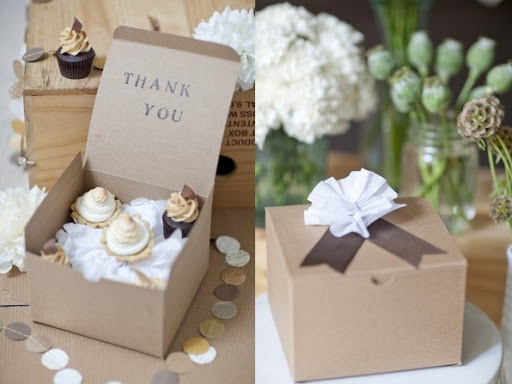 You can never go wrong with a pretty Thank You card! 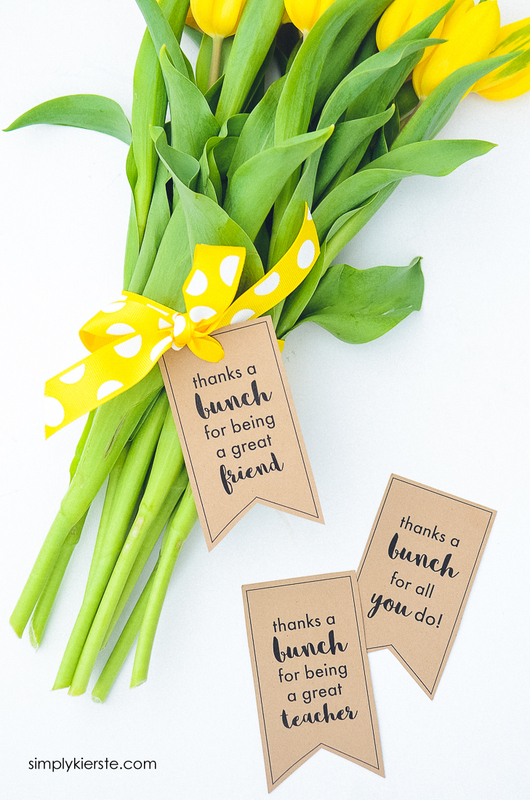 How cute are these Free Printable Thank You Cards from One She Two She? 8. Maybe you make a rockin’ awesome jam. What a delicious idea! 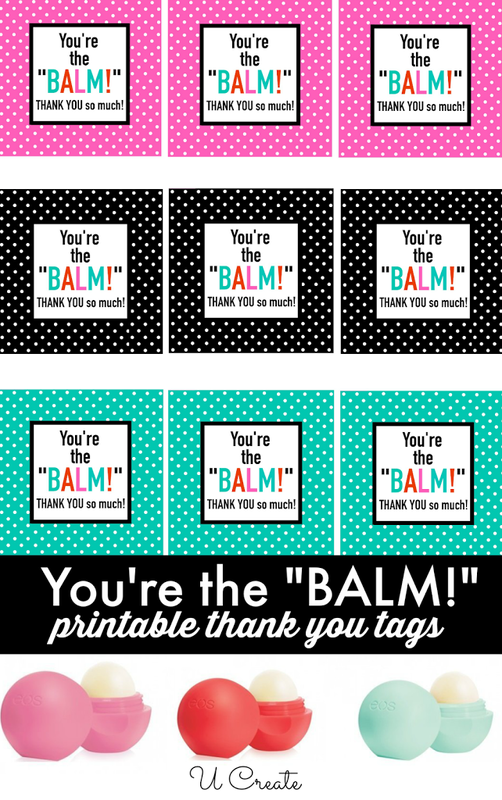 Printable at Simply Kierste. 9. 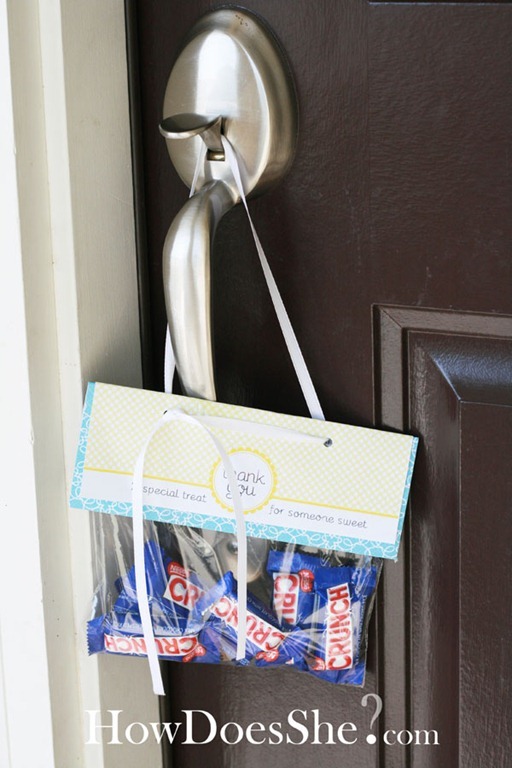 Fill a baggie with a fun treat and hang it on the door using this fun idea and printable by Chickabug for How Does She. 10. 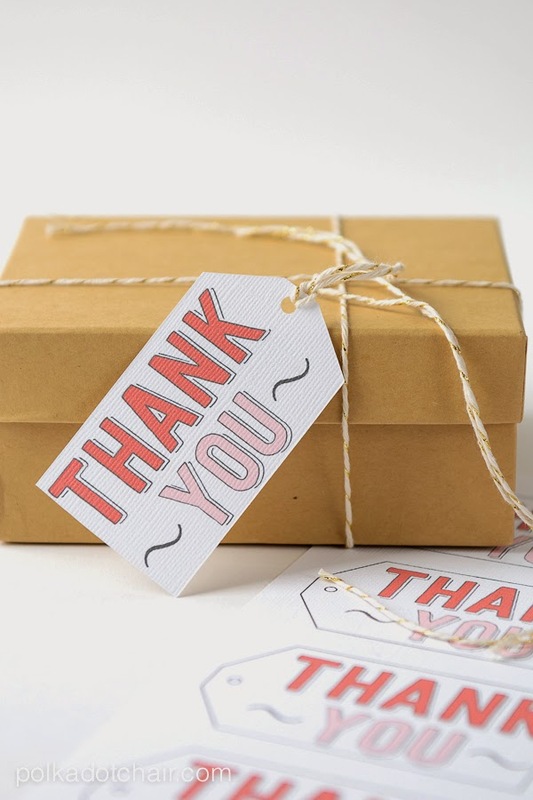 Want to thank somebody who sent you a gift? Take a photo using or holding the gift. Email the photo or send it in a greeting card. 11. Email a favorite “Thank You” song. 12. 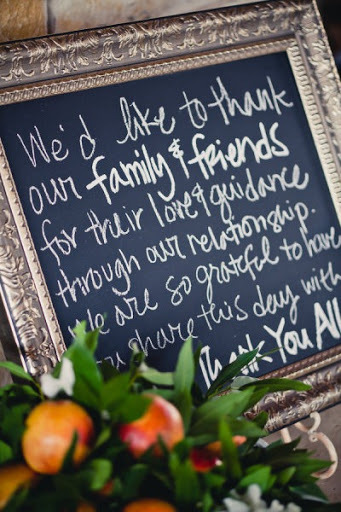 Write a message thanking your guests at an event or create a DIY chalkboard as a gift and deliver it with a thank you message on it. Would be fun to include some chalk markers, too! 13. Everyone loves cupcakes right? 14. Give a gift card to their favorite place to shop! 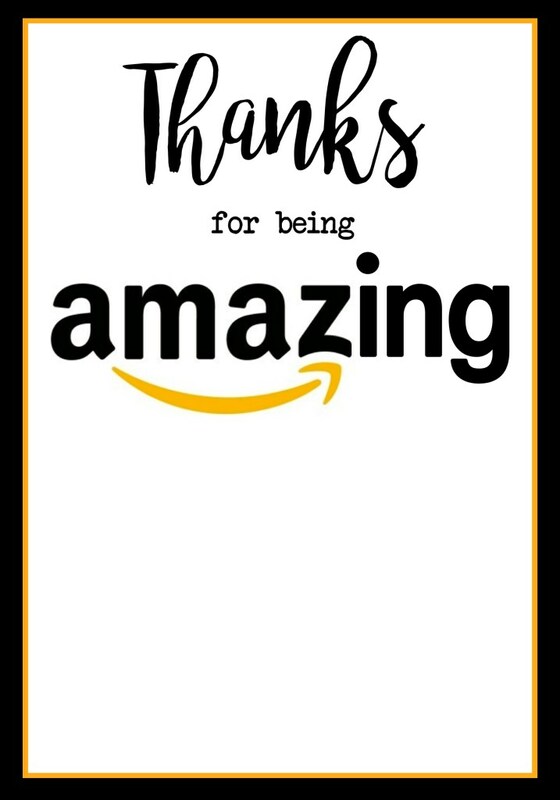 Amazon Gift Card Holder Printables at Paper Trail Designs. great post! thanks for sharing the ideas and great links! What a wonderful post! Thanks so much for sharing! 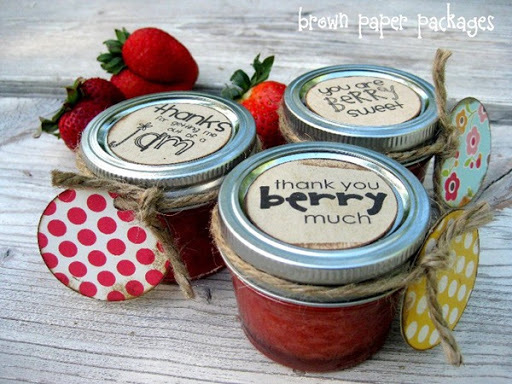 Love these idea! So cute!! wonderful crafts. I loved them so much, I am promoting your post on skinny Scoop. Cute!! Especially love #2 and #4.